Everybody who values high-quality luxurious furniture in their house will also want the same premium quality when it comes to equipping the outdoor living area. Unopiù’s garden greenhouses adhere to the highest standards of classy and rarefied design. Buying an Unopiù garden greenhouse means buying a garden greenhouse that not only meets the most sophisticated demands for design and looks but is particularly long-lasting and sturdy at the same time. We combine only the best materials using state-of-the-art techniques in combination with traditional Italian craftsmanship. The Italian design shapes blend in both in modern and in classical gardens and add a real and exclusive highlight in the outdoor area. Lean-to greenhouses are ideal for small spaces since they can simply be added to the house wall. The structure of galvanized iron with powder coated finish has been manufactured diligently, giving it stability and a long life. A door and windows are included in the Victorian greenhouses and can be expanded with additional window panels or etageres which are particularly helpful in a greenhouse when growing plants. The door can be used both as a left or a right doorhang. Self-supporting traditional Victorian greenhouses are also available. 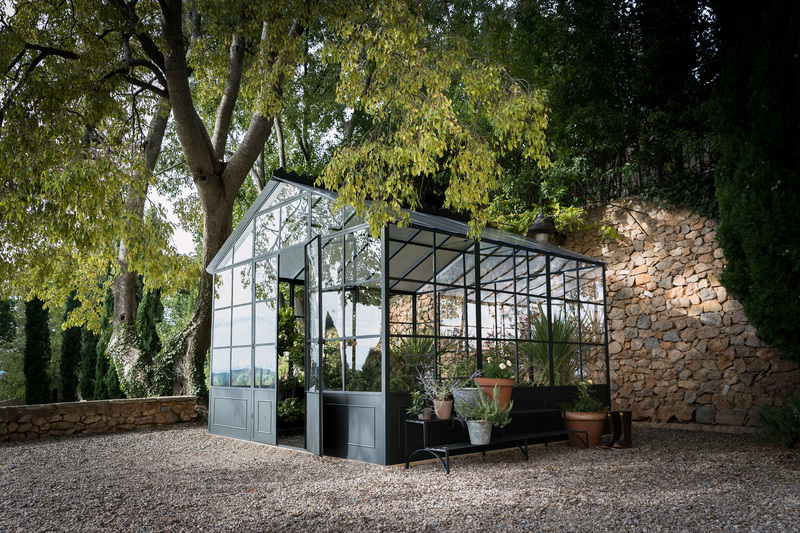 A Victorian style greenhouse with its pavilion shape sets a gorgeous style highlight in the garden where you can unwind, leave your daily routine behind and be in tune with nature. Its representative Italian design makes it a focal point of your garden all year round. A rain pipe and a skylight with two windows make the greenhouse perfect. The roof of the greenhouse is made from transparent polycarbonate. The wall panels can also be bought made from transparent polycarbonate or made from glass. Unopiù not only delivers the greenhouse to you but also optionally helps with the assembly. Whether you choose a lean-to greenhouse or a self-supporting one: It is the luxurious and spectacular icing on the cake for your garden layout.